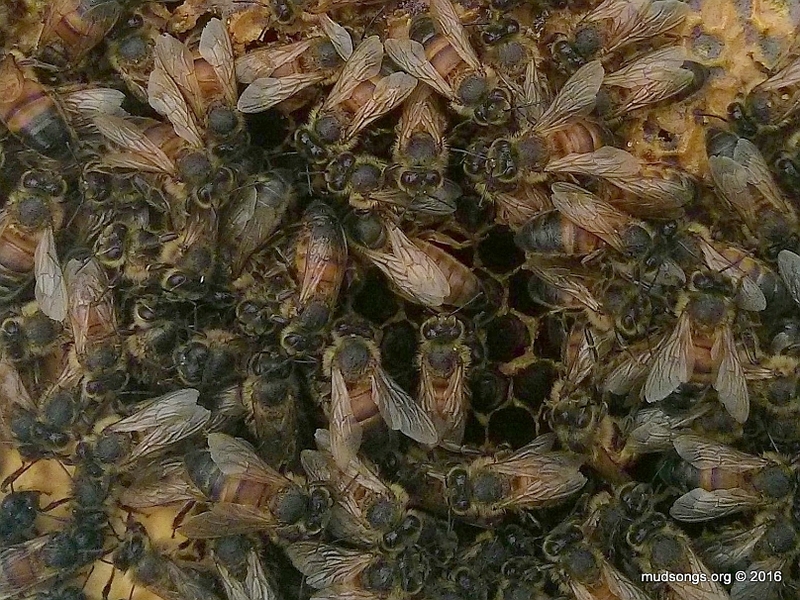 I found a frame full of queen cells in one of my hives last week (on September 5th). Specifically, supersedure cells. I’ll skip the sad story of how they got there. Just for kicks and giggles, I moved the frame of supersedure cells, along with three other frames including a frame of brood, into a nuc box. 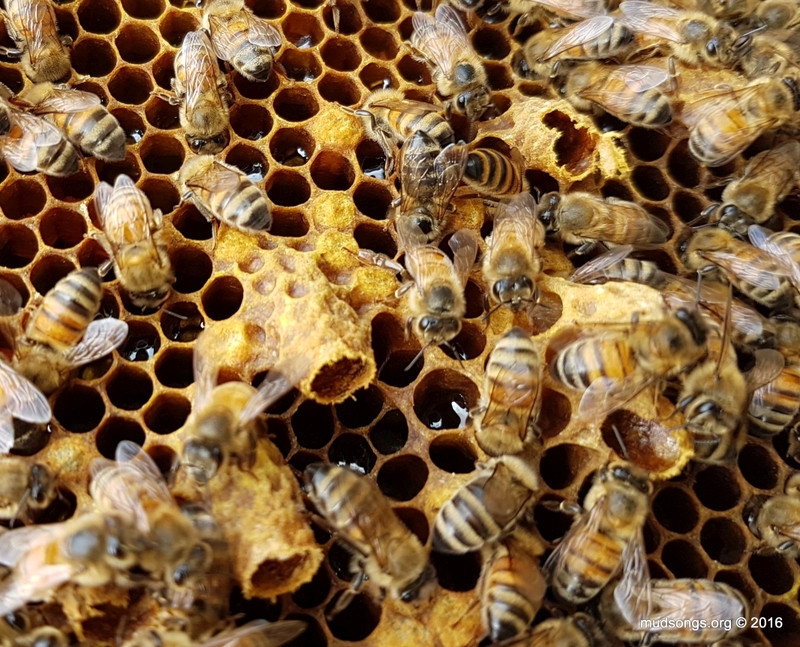 Queen cells are usually capped eight days after an egg is laid inside, which means these ones were at least eight days old. Seeing how the queens usually emerge about eight days after the cells are capped, I figured there was a good chance I’d find open supersedure cells about a week later. And I did (yesterday). If it all works out well, she’ll be laying by October. So come back in October and we’ll see what happens! UPDATE (Sept. 30/16): No signs of a mated queen. The bees are calm like they would be if they had a queen, so… I’ll give it more time and see what happens, though I don’t have high hopes. 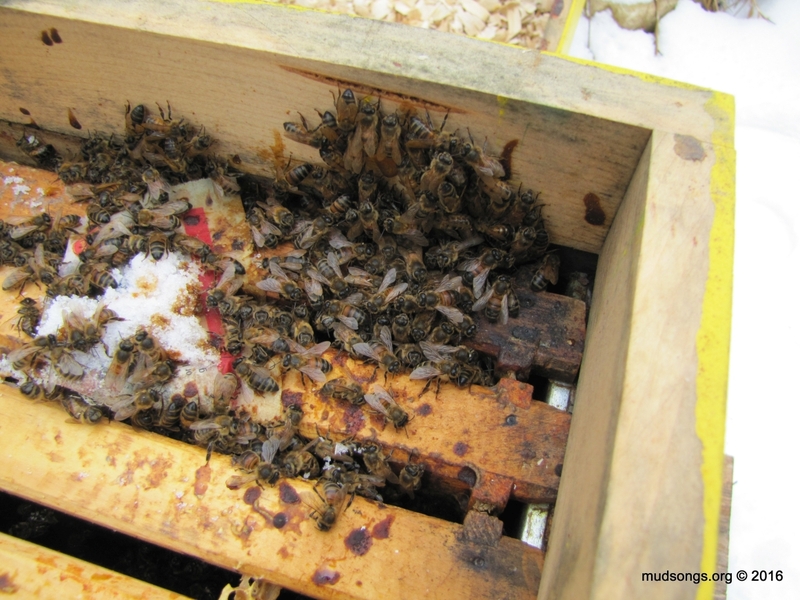 In my experience, plastic insert feeders that fit inside medium or shallow supers are useless because they don’t provide the bees convenient access to the syrup. 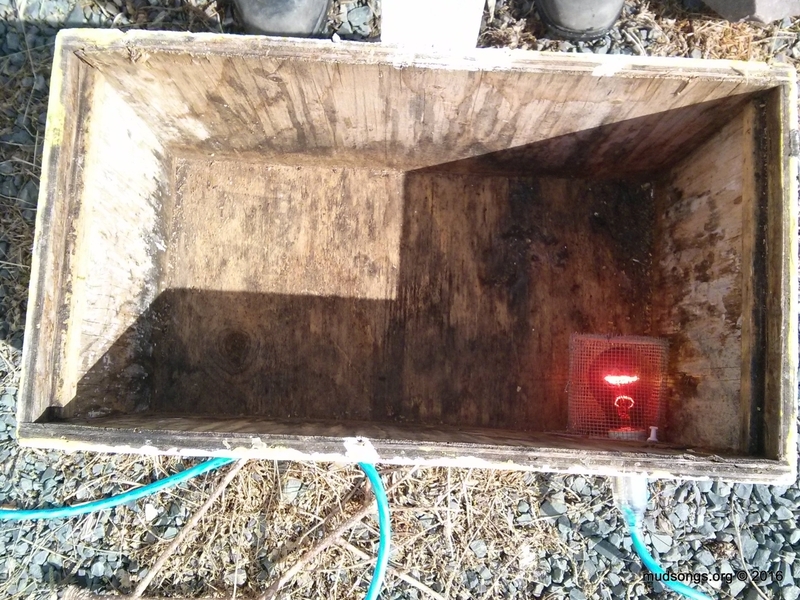 Using an insert feeder to build up a nuc could be disastrous, especially in a cold climate like Newfoundland. 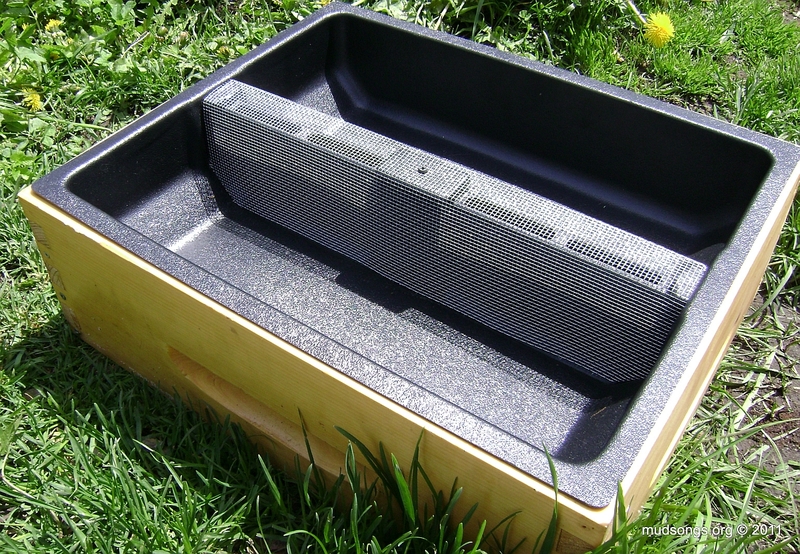 Plastic insert feeder in a medium super (June 1, 2011). 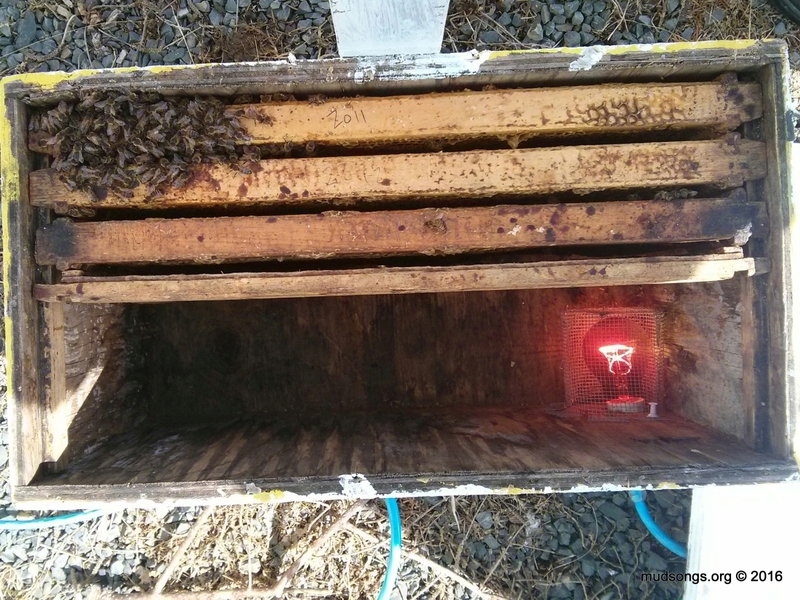 I bought an insert feeder during my second spring of beekeeping in 2011 because it seemed like a cheaper alternative to a hive top feeder. But I could never get the bees to take syrup from the feeder. (I’ve heard the same from numerous beekeepers over the past four years.) My bees would have starved had I kept trying to feed them with the insert feeder.